[INTERVIEW] 130321 @star1 April Issue - Krystal Interview (TRANS) | DearKrystal.net - f(x) Krystal International Fansite "Shine Bright Like A Krystal"
"The Cheeky Inner Thoughts of Twenty Year Olds"
+ A recent update now that you’ve welcomed your twentieth year. I’m doing solo activities and am attending school after my admission. I’m also recording to prepare for f(x)’s album so I’m spending busy days. + You’ve turned twenty years old. What did it feel like when you first turned twenty and how does it feel now, after three months have passed? When I compare my teenage years to the present, in which I’ve turned twenty, I can’t feel much of a difference because the environment surrounding me hasn’t newly changed. But as I can do many things that I couldn’t do when I was in my teens, I look forward to the coming times. And I feel like my outlook has become a little bit more mature. + You’ve graduated from school, I think the feeling must have been quite special. I graduated high school and have come to attend college, and starting anew as a college student is both thrilling and scary. I think I should act with more responsibility because I’m an adult. The thought that I’ve graduated high school makes me happy, but it also gives me mixed feelings as well. And I want to wear a school uniform again. + Are you fulfilling the things you wanted to try once you turned twenty years old? When I turned twenty I wanted to get my driver’s license and go on a trip with a car on my own. I haven’t been able to get my driver’s license yet, but I think I’ll take on the challenge soon. And personally I also want to develop further through a good piece of work and study diligently as I enjoy myself as a college student. And as a member of f(x), showing an image that has matured a level is planned. + What kind of adult do you want to become? I want to grow and develop myself to become an adult who suits her age. 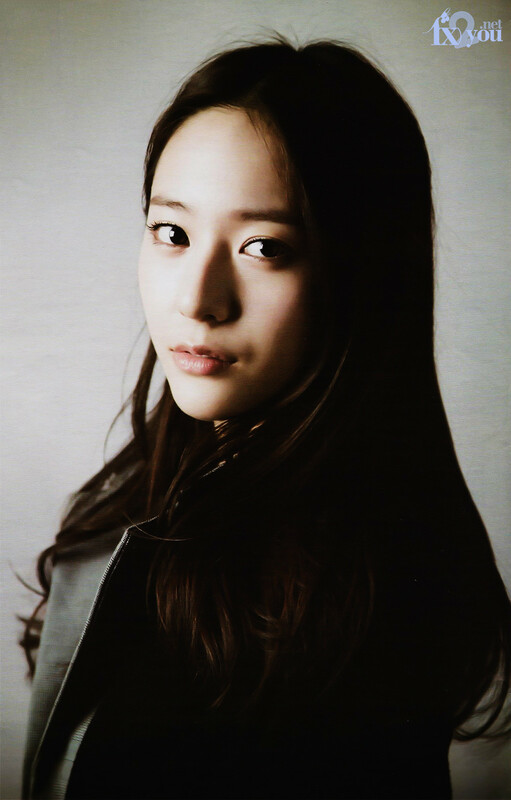 And I want to become a Krystal who is confident and assured in front of both herself and others.